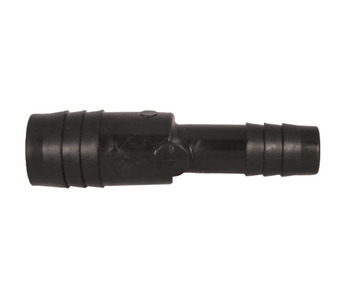 The 3/4 by 1/2 inch barb hose coupling is used for plastic type of tubing. This is an important piece, part of the plumbing of any water feature in a home, because it allows for the tubing to be properly installed. With properly installed tubing, it prevents the possibility of water not properly flowing and it even prevents from any underground flooding. Aquascape: Barb Hose Coupling 3/4" x 1/2"
This coupling is designed to fit a certain type and sized tubing, it is important, when purchasing tubing and coupling pieces, that everything fits. If the parts do not fit it usually will lead to something going very wrong with the plumbing and will require to be reinstalled. 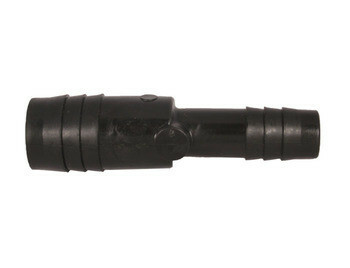 The Aquascape hose coupling is designed to work with proven results. The company also offers the pieces at such advantageous prices, making plumbing in the home a much easier task.